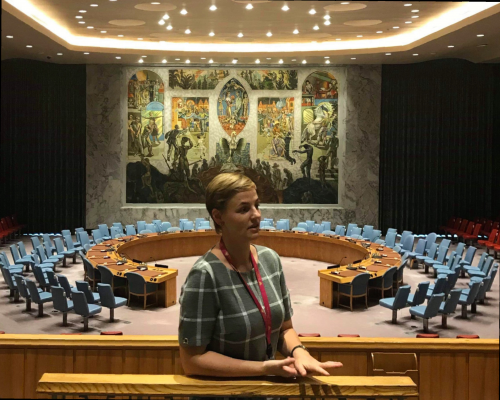 Members of Storefront for Art and Architecture are invited to a tour of the United Nations, led by Norwegian Consul Ginni Wiik. Attendees will learn about the history of the UN complex, as well as how politics, architecture, and art have come together in the making of one of the most important political spaces in our city and across the globe. The tour will also make connections between the buildings and their surroundings, contextualizing the structures of the UN—as well as unseen aspects of their interiors—within the broader architectural history of Manhattan. This tour is open to members of Storefront for Architecture. To attend, please RSVP here by Tuesday, January 22nd, 2019. If you’d like to join Storefront’s membership program in order to attend the tour, see here for more information or email membership@storefrontnews.org.